Sean Dyche enjoyed an 18-year career as a centre-back, so when he talks about defending it is with all the passion you might expect. But is defending really a dying art? Ahead of their trip to Everton on Sunday, Sky Sports’ Adam Bate looks at why the emergence of James Tarkowski suggests not. Dyche's work with Michael Keane, who could line up against the Clarets for the first time on Sunday since leaving them, helped the club make a vast profit on the sum paid to Manchester United only two years before. Dyche could have brought in a big-name replacement over the summer but instead entrusted the job to Tarkowski. His 17 clearances against Crystal Palace was at the time the most by any player in a single match this season. 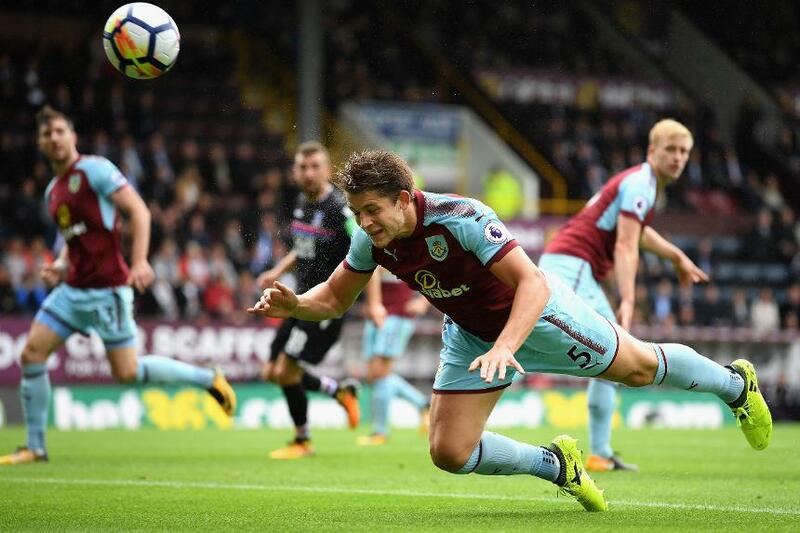 And Tarkowski broke his own record set at champions Chelsea in Matchweek 1. "We've definitely worked on that with our centre-halves, all of them," said Dyche. "I know Tarky can play. But his defending, the little details I look for in a defender, as with Keano, Ben Mee, Longy (Kevin Long), even Duffo (Michael Duff), we were still talking to him about details when he was 36, 37. I have a lot of belief in our defenders defending." As well as ranking top of the Premier League for clearances, Tarkowski is also second on the list for blocks too. He gets the ball away from the danger zone when he can and gets in the way of it when he cannot. There was more of the same in Burnley's 1-1 draw at Liverpool. Once again, Tarkowski was key, making more clearances and twice as many blocks as anyone else. With both Everton and Burnley boasting players who have benefited from Dyche's coaching, expect the fundamentals of defending to be on show when the teams meet at Goodison Park on Sunday.